Jay-Z's high-res music streaming service, Tidal, hasn't been off to a great start, despite the amount of celebrity endorsements it had at launch. The hip-hop star offers a unique selling point - lossless music encoded at the whopping 1,411 kbps in FLAC or Apple Lossless formats. Compared to most other tune streamers that max out at 320kbps, Tidal should be the dream of audiophiles, right? Well, not exactly, as those folks are not that big a part of the market, and the monthly subscription of US$19.99 for the high fidelity streaming is double the usual fee for the competition. Samsung, on the other hand, has had its fair share of mishaps with its own service called Milk Music, which comes preinstalled on handsets in certain markets. The company also launched Milk Video, but will be shuttering that one promptly, just a year after its introduction. That's why it might make sense for Samsung and Tidal to enter some kind of partnership to milk recognition (pun intended) and wider distribution from each other - such have been the comments when reporters spotted Jay-Z coming out of Samsung Research America, where Milk Music is located as well. The source also claims that Jay-Z has been meeting there with Daren Tsui, Samsung’s Senior VP of content and services that is in charge of Milk Music. There you have it - Samsung and Jay-Z seem to be up to some partnership shenanigans, which may result in acquiring Tidal outright, or planting it on Samsung handsets from the box, if the two sides reach some sort of agreement. Man. Could you imagine if Samsung bought Spotify? Get ready for milk tides. I'm not sure where this sits in the market at the moment. I feel like most audiophiles still purchase to own most of their music, but maybe that'll change in time for this. Even digging into that market I'm not sure how many people care about having such quality on the go( with external noises around), which is where it seems like most of the music streaming market is at. I'm also hearing mixed reports about whether artists would be seeing any more money or if it's the same spotify practice. I'd love to know how many people using this service can still hear enough frequencys to notice a difference. And how many are listeing with beats. This is so second rate for Samsung as well as the whiny Jazzy. Can't these guys ever come up with an original service? You do realize that none of the services released recently are original, right? I know, I kinda meant the whole Samsung Pay after Apple Pay, Jazzy acquisition after Beats acquisition, Samsung leasing program after Apple leasing program just to name a few recents.. Damn Alik lol. At least you can be a man about though, unlike that weasel discharge. Do you even realise that filthy rich all mighty apple bought beats and used their music service and made it apple music too? It costs s**t loads of money to make a proper music service, s**t loads of time. Its cheap to buy one and slap your logo on it and slowly edit it to your likings. Why do you think bmw/mercedes bought Nokia maps? You think they didn't have the money to make an original their own maps service? Of course they did, But it would take too much time and too much effort, meanwhile there is one ready works perfectly and is for sale. You would have been an awful CEO if you were one with that kind of thinking in 2015. 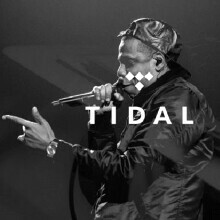 I hope they preinstall tidal on the phones, I would prefer that than Samsung buying the company outright. You guys are underestimating Tidal. In the small audiophile world it's practically the only service used anymore together with Qobuz. We have a lot of streamers with Tidal integration now. I welcome this because if Samsung is buying they could make it even bigger. And we are selling a lot of streamers just for Tidal now. i wouldnt mind Tidal being preinstalled or getting a discount if I have a Samsung phone. That 10 extra month would get me to try it out again. Simply put, music-streaming market is saturated, let's just see the largest player around, Spotify that can't generate a single penny of profit since its inception. My projection is that in 2 years only 4 services will remain and none of them will be Tidal (or whatever it's renamed). Let me guess: Spotify, Google Play Music, Apple Music, and Amazon Music? There's Xbox music as well.